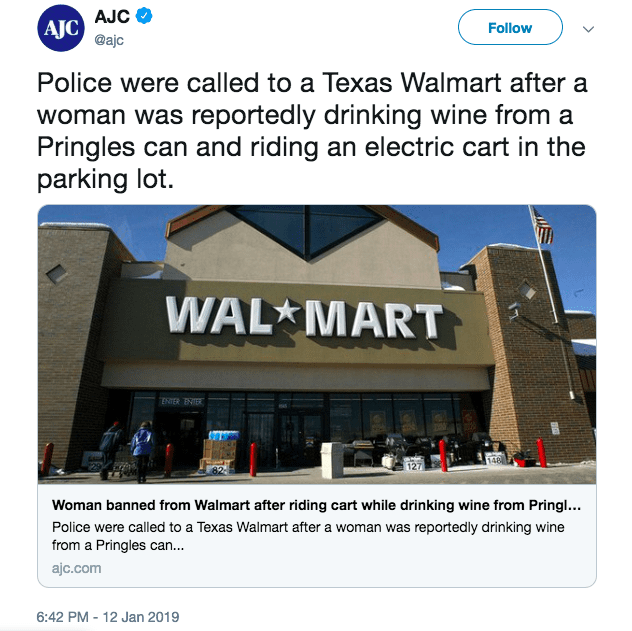 Heroes come in all shape and sizes, y’all, and last week some on the Internet found theirs when a Texas woman was arrested in a Walmart parking lot drinking wine from a Pringles can. 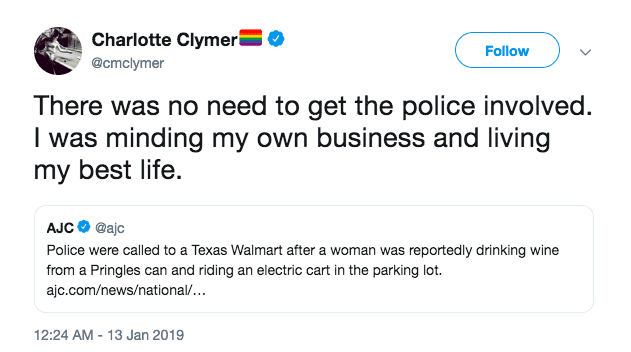 She’d been out there on her motorized cart since 6:30 in the morning and the police arrived at 9. 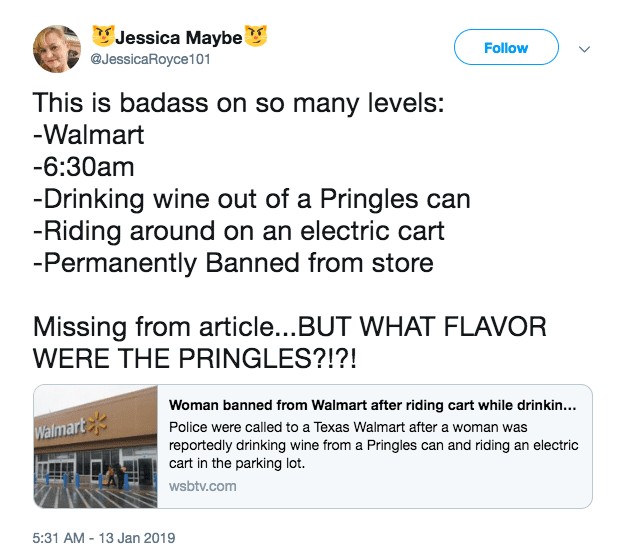 No word on her mental state (though I’m guessing sloshed) or whether or not she cares that she’s now permanently banned from that Wal-Mart (talk about a blessing in disguise) but most people online see a woman living her best life who didn’t deserve to be escorted anywhere against her will. 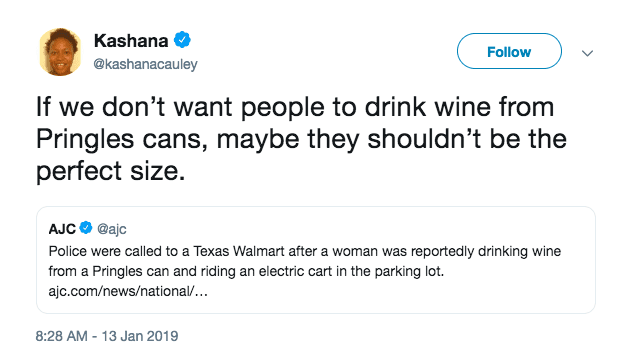 The responses are hilarious, as people are clearly choosing to see a symbol of no f*cks to be given, but in reality, if this woman needs help I hope she gets it. 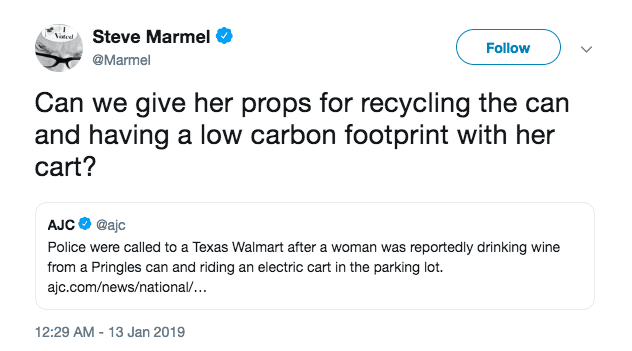 If she’s totally mentally sound and was just capping off a great night, well, I say more power to her. Putting Your Christmas Decorations Up Early? Turns Out You’re Not Crazy!